This Kinetic glass and steel fountain is operated by the viewer. 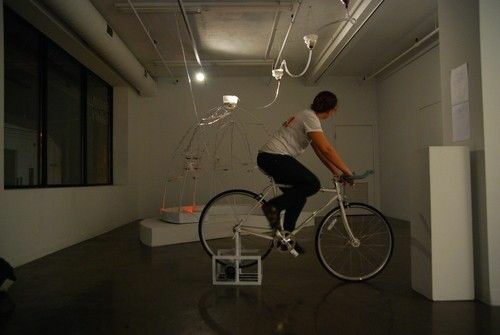 Hopping onto the bicycle will generate a friction driven water pump. Pumping liquid from the fountain through a series of glass suspended filtration systems then down through a series of glass water tippers that chime different notes on impact.